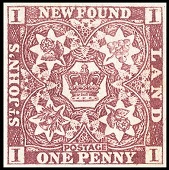 British North America stamps first appeared in the middle of the 19th Century. The first issues of each of the British colonies in North America are all shown further below. Though some of the British colonies in North America had existed since the 17th Century, these vast areas North of the United States border were still going through geopolitical evolution well past the middle of the 19th Century. The Lower Canada section of the Province of Canada had originally been the French colony of Quebec. At the end of the Seven Years War (1754-1763), known as the French and Indian War in North America, the Treaty of Paris awarded the former French colony to Great Britain. 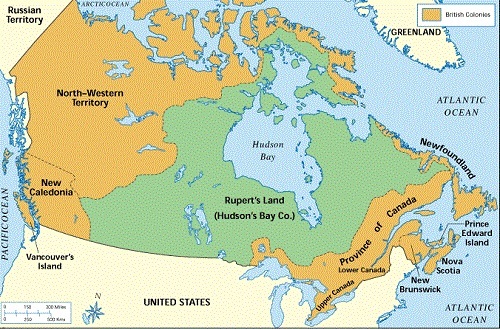 The largest portion of this geographic area, outside the boundaries of the existing British crown colonies there, was actually controlled and managed by a private commercial venture, The Hudson Bay Company. In 1867, the colonial governments of Nova Scotia, New Brunswick, and the Province of Canada met in Ottawa, and they joined together to form the Canadian Confederation. 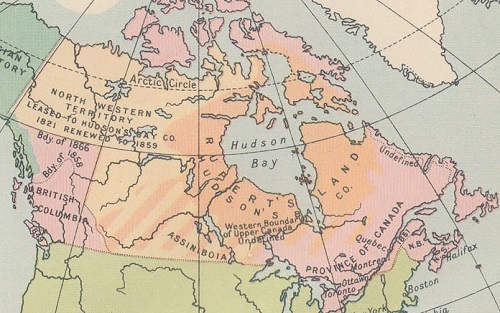 The Province of Canada was broken up into two separate provinces. Upper Canada was renamed to Ontario and Lower Canada was renamed to Quebec. Along with Nova Scotia and New Brunswick, these four newly confederated provinces formed the creation of what we know today as the Dominion of Canada. British Columbia and Prince Edward Island joined the Canadian Confederation four years later. Newfoundland remained a separate British crown colony until 1949, when it finally joined the Canadian Confederation. Examples of British North America stamps are shown above. 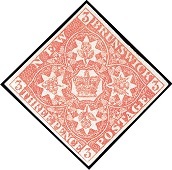 Postage stamps of New Brunswick, Nova Scotia, and the Province of Canada were first issued in 1851. 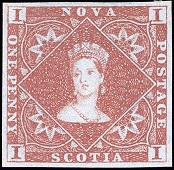 Postage stamps of Newfoundland were first issued in 1857, and the postage stamps of British Columbia and Vancouver Island and Prince Edward Island appeared in 1860. Historical articles and reviews of the postage stamp issues of the British North American colonies will eventually appear in the link section at the top of the third column of this page.